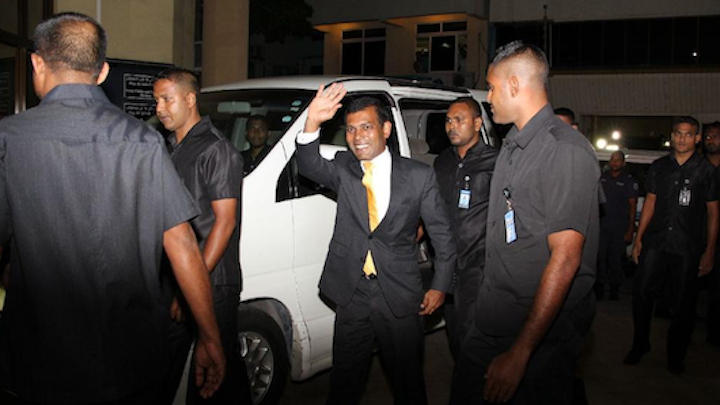 “The signs are getting stronger- Maldives appears to be moving towards despotism. The latest in the series is the sudden and hurried sacking of the Defence Minister after a raid of his premises by the Police,” writes Dr S.Chandrasekharan for South Asia Analysis Group. “What should be worrying is not of President Yameen consolidating his position but the sinister way by which he is going about it by disregarding all constitutional norms. Transparency Maldives in one of the reports (3rd August of last year) referred to the “stagnation in democratic consolidation and a reversal in democratic gains.” It also pointed out the lack of outcry in the instances where the powers of key democratic institutions have been undermined. The tourism industry holds the key for youth employment and community development said senior government figures as the Maldives celebrated World Tourism Day. “I call upon Maldivian youth to enter the tourism sector with renewed courage,” said President Abdulla Yameen, pledging greater opportunities for young people within the sector. “To this end, to increase income and job opportunities in the north, God willing a further five resorts will be put up for bidding during this year and awarded for development,” he continued. The industry – which accounts for 25 percent of GDP – continues to grow rapidly based on just over one hundred island resorts currently in operation. Tourist arrivals increased by 11 percent between August 2013 and August 2014, numbering 806,000. Attempts at community based tourism have expanded rapidly in recent years, with the number of guest houses based within local communities growing from 22 registered facilities in 2009 to just under 200 today. With tourism and community development the central theme of this year’s World Tourism Day, Minister of Tourism Ahmed Adeeb lauded the Maldives’ industry as an example of how tourism can develop local communities. 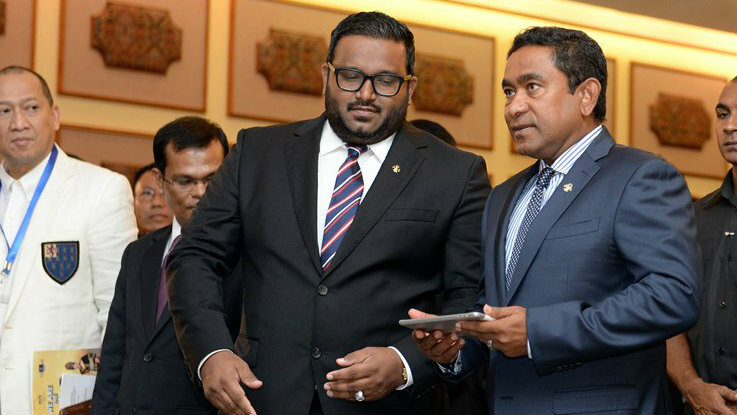 Adeeb cited the current government’s innovation in mid-market tourism – the integrated resort project model – as a way to “responsibly diversify the tourism product of Maldives to the mid-market segment”. “One of the fundamental elements of the Maldivian tourism industry is that the views and aspirations of the host community are taken into account as their support and genuine involvement enriches the holiday experience for the travelers visiting the Maldives from across the globe”. The integrated resort model – pioneered with the recently launched Thumburi resort project – is designed to make the industry more accessible to small and medium sized enterprises, though some have questioned how the scheme will benefit local communities. World Tourism Day 2014 was celebrated in the Maldives with boduberu performances at all the country’s airports as well as environmental activities at a number of resorts, including reef cleaning and tree planting. A bicycle ride was also organised in Hulhumalé to raise awareness of the use of environmentally friendly forms of transport. The ride was organised by the Tourism Adaptation Project which will include 10 investment schemes to “climate proof” infrastructure in the tourism industry, explained Adeeb in the World Tourism Day supplement published for the occasion. The supplement also included statements from UN Secretary General Ban Ki-Moon and World Tourism Organisation Secretary General Taleb Rifai. “Tourism is a people-based economic activity built on social interaction, and as such can only prosper if it engages the local population by contributing to social values such as participation, education and enhanced local governance,” said Rifai. In his article for the supplement, Adeeb noted that the government’s flagship special economic zones bill would accelerate the development of the atolls and pave the way to initiate mega projects in different regions of the Maldives and will be a platform to expand our tourism industry”. President Yameen last week reiterated his determination to provide equitable development throughout the 26 atolls, during a ceremony announcing reliable electricity would be provided to all inhabited islands during 2015. A UNDP human development report released in June noted the growing disparities between the region surrounding the capital and the outer atolls. It described the tourism industry as an “oligarchy”. While acknowledging the recent growth of the guest house industry, the report argues that the bulk of the luxury resort industry provides little opportunity for local small and medium enterprises. Recent statistics showed that Malé’s Kaafu Atoll was home to 39.9 percent of the tourism industry’s bed capacity, while Seenu Atoll – home to country’s second largest urban population – had just 3.6 percent. Following the launch of an online petition in April calling for development of the tourism industry in Haa Dhaalu – the country’s second northernmost atoll – government minister’s pledged equal development of the industry. The death penalty can be implemented in the Maldives starting today following the publication of procedural regulations in the government gazette, Minister of Home Affairs Umar Naseer has said. Speaking at a press conference this afternoon, Naseer said the chances of killing an innocent person after completing all the procedures in the regulation – titled “procedural regulation on investigating and penalising the crime of murder” – was “far-fetched” and “almost impossible”. The regulation was formulated under the Police Act and the Clemency Act with the objective of specifying the procedures for investigating murders and implementing death penalty, and came into force today. While Maldives has been maintaining an unofficial moratorium on the death penalty since 1953, several people have been sentenced to death over the years. The common practice had been for the president to commute all death sentences to life imprisonment through powers vested in him by Clemency Act. Both President Abdulla Yameen and Vice President Mohamed Jameel have expressed their support for implementing death penalty. The regulation only allows implementation of death penalty for intentional homicide or premeditated murder and only when the sentence is delivered by the Supreme Court. A death penalty committee comprised of the Prosecutor General, Chief Justice (or someone appointed by him) and the Commissioner of Prisons have to send a written confirmation to the president that all procedures of the regulation have been followed. After receiving this confirmation, the president is required to send an execution order to the Commissioner of Prisons within three days. Within seven days of receiving this order, the Maldives Correctional Service (MCS) has to carry out the execution using lethal injection. Naseer said the executions will take place at a building in Maafushi Prison, which is currently under construction. The regulation requires Ministry of Islamic Affairs to mediate between the victim’s family and the convict. Through this process, which reflects the Shariah principle of qisas (retaliation), family members who are ‘warith’ (heirs in Shariah law) will be given an opportunity to pardon the convict with or without receiving blood money. The execution will not be carried out even if a single member of the family chooses to pardon the convict. The family is given a ten-day period following the mediation to come to a decision. According to the regulation, implementation of death penalty can be delayed if the convict is underage, till he or she is 18-years-old and if the convict is pregnant, until she gives birth and the child is two years old. If a medical board appointed by the Commissioner of Prisons finds the convict is of very weak health, the sentence will be delayed till he recovers. “Look at this as a first step. God willing, this government will take all necessary action for keeping peace and creating a safe environment for our citizens.” He said. Naseer also noted that there maybe some countries and organisations which would be concerned over the decision, but said the Maldives will go ahead with it as a sovereign nation and a 100 percent Islamic country. The President’s Office has re-opened applications for the vacant prosecutor general’s post following the Majlis’ failure to approve the previous nominee. Maumoon Hameed was nominated for the position by President Abdulla Yameen last December, being selected ahead of other applicants which included former Tourism Minister Mariyam Zulfa and current Deputy Prosecutor General (PG) Hussain Shameem. 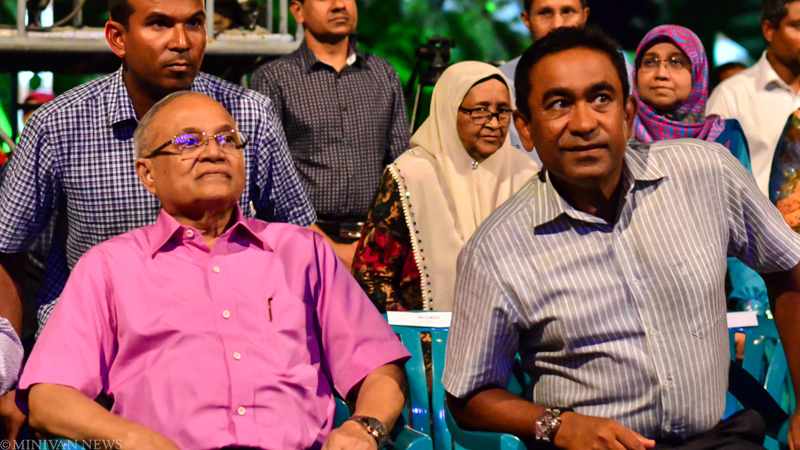 Although Hameed – Yameen’s nephew – received the support of the majority of MPs present in the Majlis earlier this month, the total was less than the majority of the full house required for the appointment. Prior to the vote on the full floor, the Majlis’ oversight committee recommended Hameed not be approved for the position, with committee chair Rozaina Adam telling Minivan News that the nominee had failed to meet the group’s assessment criteria. The successful nominee will require 43 votes in the new Majlis session, in which pro-government parties will hold a majority with 57 seats. The new intake of MPs are scheduled to be sworn in on May 28. The deadline for application to the PG’s role – vacant since November – is tomorrow (April 24) at 4pm.